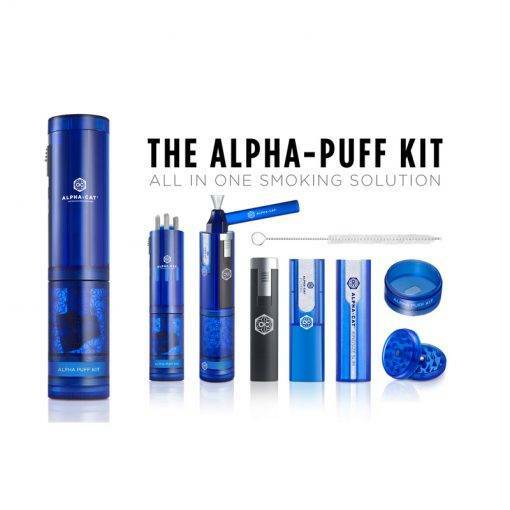 The AlphaPuff Kit™ is the all in one product for all your smoking needs. Our newly designed products include everything! You’ll never have to search for your lighter again! Now you can be just as comfortable – wherever you are – as you would be in your own home with this all-in-one portable kit. In addition, the AlphaPuff Kit serves as the perfect storage center, keeping all of your smoking necessities in one clean, sleek and slim package. You’ll never have to search for your lighter again! Now you can be just as comfortable – wherever you are – as you would be in your own home with this all-in-one portable kit. In addition, the AlphaPuff Kit serves as the perfect storage center, keeping all of your smoking necessities in one clean, sleek and slim package. One of the BEST all-in-1 smoking product. Love the pre-roll compartment. Everyone I show the Alphapuff and they are like cool until they see it’s a water pipe then it’s a game changer, everyone wants it. Truly love this product. And love the fact that it looks like a water bottle when it’s all compacted and in travel mode. I just got this today and already love it. It is incredibly convenient. The only issue/problem I’ve had is that the torch doesn’t work no matter what I do. I’ve tried filling it but regardless of what I try everything shoots out of the valve screw immediately. Besides that simple faulty lighter this is a great product. It will be so convenient for me for when I go kayaking or out to do anything outside really. It’s just unfortunate the lighter doesn’t work because that would have been one of the most convenient parts of the kit because I often forget to bring a lighter with me. Thanks a lot for your feedback. We are very sorry for the lighter issue, no one reported this problem before. Let me check with my crew and I’ll come back to you by e mail about that. Thanks again and have a nice kayaking ! Thanks a lot for your feedback Kris. We have taken due note of the lighter. Hope seeing you soon.